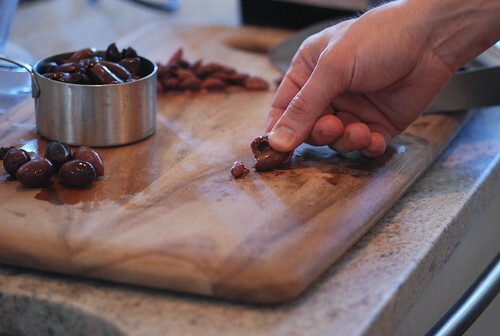 We like the full flavor and juiciness of olives that come with their pits still inside. 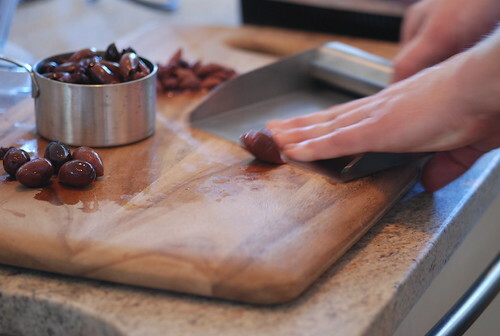 If you're going to cook with olives, though, you'll need to remove the pits. 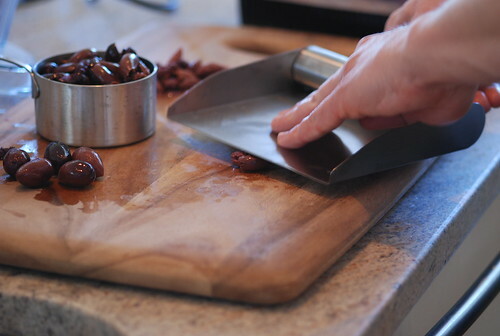 Pitting olives adds a few minutes of prep time to a dish, but isn't hard to do. 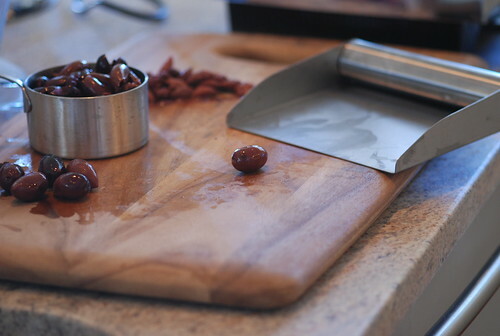 Just press straight down onto the olive with the flat surface until you feel the olive pop. Continuing to press down gently, pull the tool back toward you. This will often make the seed pop right out. If the seed hasn't popped out yet, just squeeze with your fingers to release it.